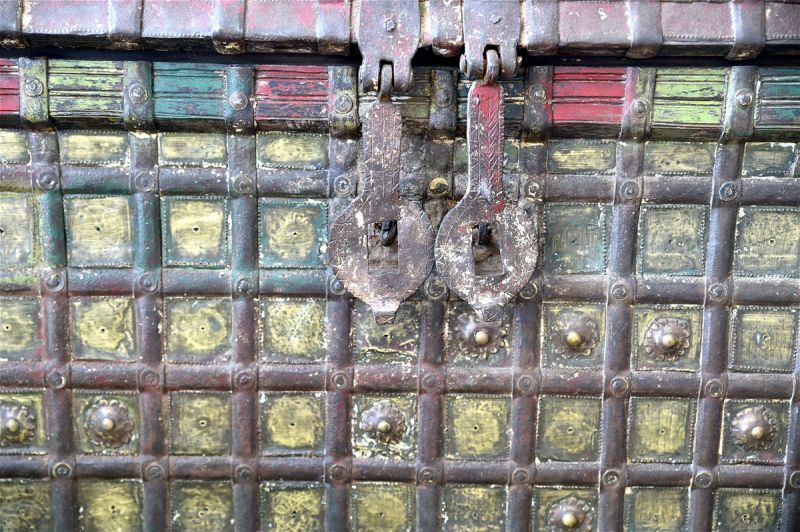 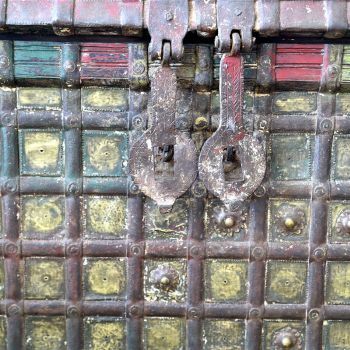 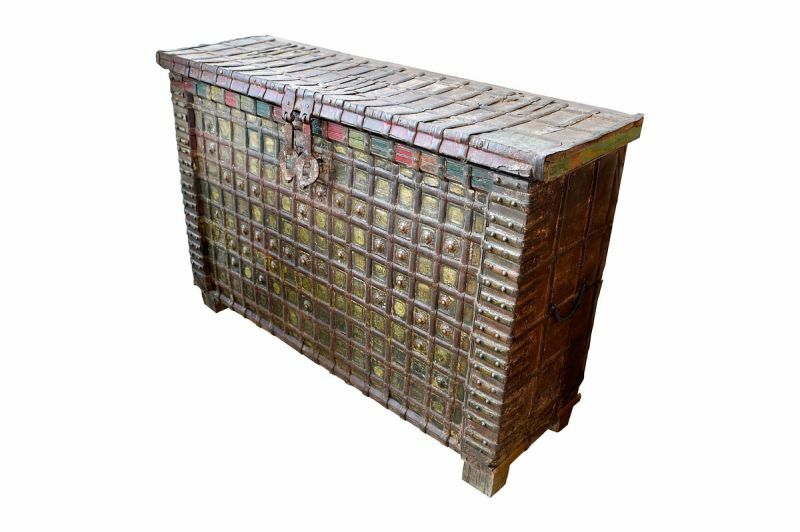 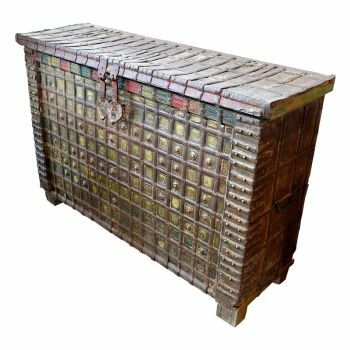 This dowry chest originates from Jodhpur, Rajasthan and is over 100 years old. 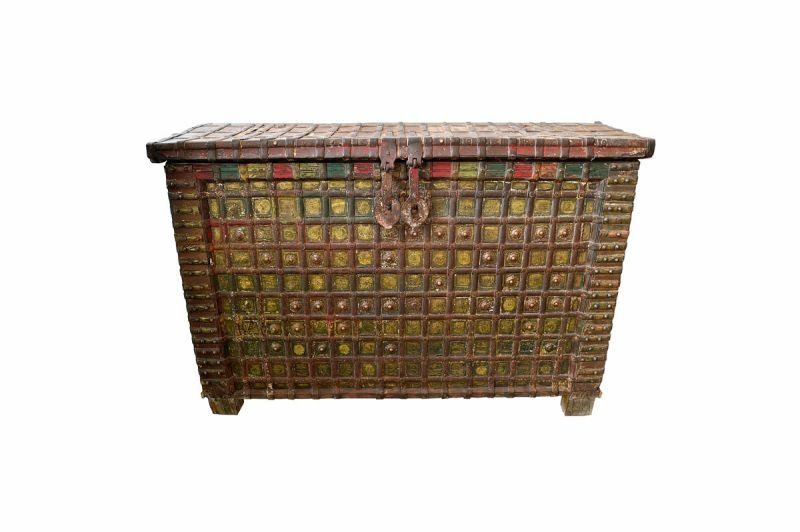 It features stunning engraving and is made of wood, wrought iron and copper. 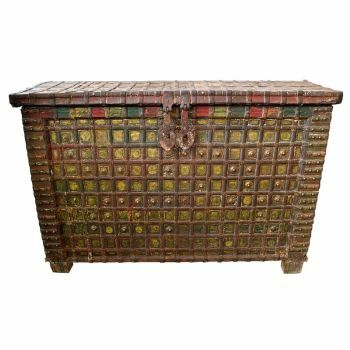 Colourful and interesting, this piece is definitely a conversation starter.